Our American Plan is a full-service package designed to give you the best “Canadian Wilderness Experience” possible. Come and enjoy the atmosphere and excellent sportfishing that we have to offer on a 9-lake system, while our unprecedented service takes care of all the necessities to make your stay a comfortable one. 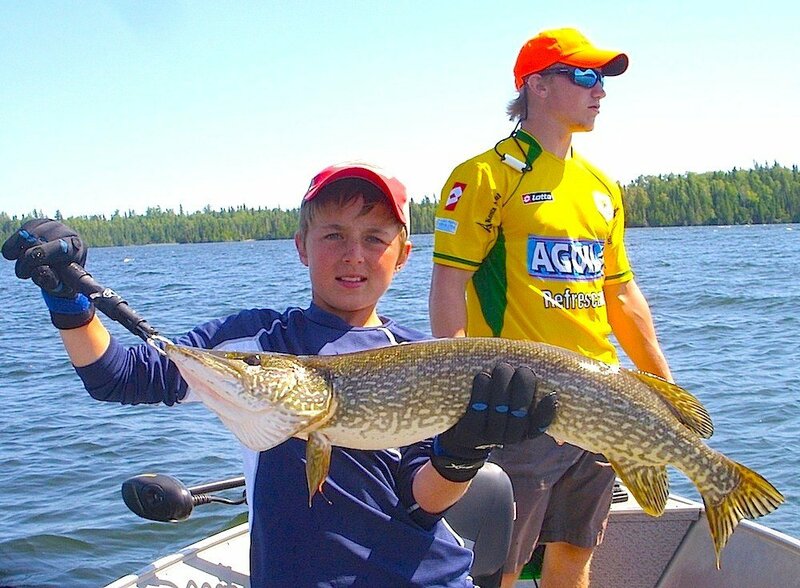 Our lake system offers Muskie, Smallmouth Bass, and Northern Pike. Rates based on 2-3 people per boat. 5 Gallons of gas per day will be included for guests bringing their own boat. 16 ft Lund with swivel seats, floor, landing net and fish cradle. 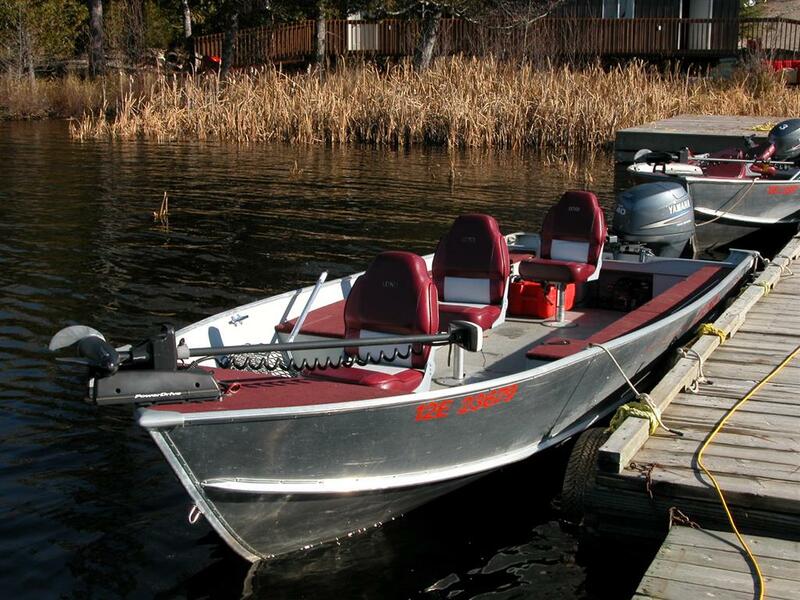 Wide Beam, 16.5 ft boat with open floors, swivel seats, storage, landing net and fish cradle. 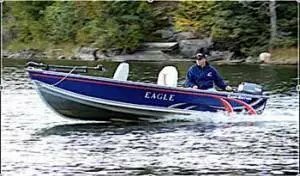 Powered by an electric start 25 hp Yamaha 4-stroke engine and front mount hand controlled trolling motor. Battery and battery charger supplied. 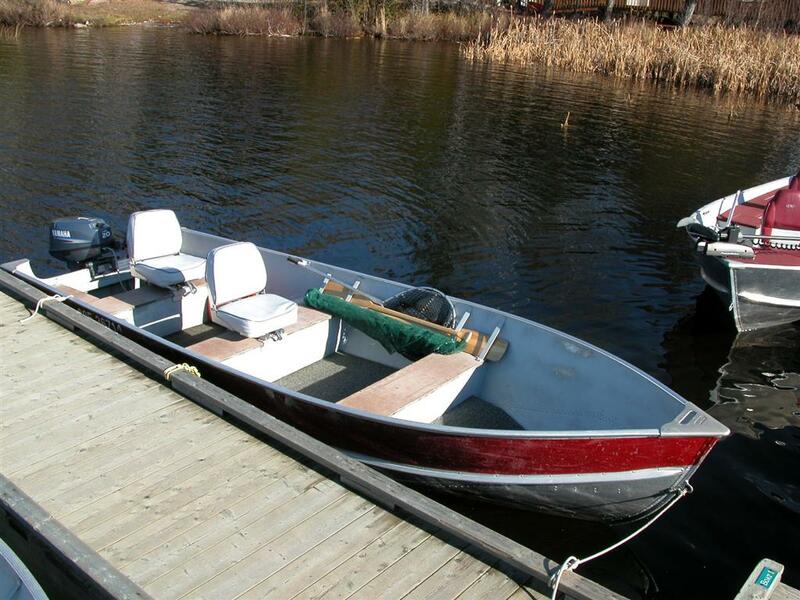 18 foot Lund or Crestliner Boat with open floors, swivel seats, rod locker, storage, landing net and fish cradle. Powered by an electric start 40 hp Yamaha 4-stroke engine and front mounted trolling motor. All batteries and battery charger supplied.